The Nissan commercial fleet will soon offer a connectivity option. Nissan will soon offer connectivity services for its commercial vehicle customers under a new deal with software company Telogis. The agreement, which initially focuses on Europe, will see Nissan fleet owners, drivers and fleet customers with access to the manufactures new solution, NissanConnect Fleet. Powered by Verizon subsidiary Telogis, the factory-fitted technology will act as a gateway to the Telogis Mobile Resource Management (MRM) software platform and collect and analyse driver behaviour and vehicle performance history. According to Nissan, after the data has been analysed by the solution, fleet operators will gain actionable information to make better business decisions. "The time has come for Nissan commercial customers to benefit from the visibility and operational intelligence they gain by connecting their business," Nissan Global LCV Business Unit corporate vice president Philippe Guerin-Boutaud says. "From empowering workers on the road and in the field to help them be safer and more efficient, to optimising daily delivery routes, NissanConnect Fleet will have a transformational effect on the way Nissan customers do business." 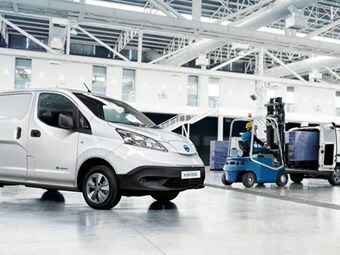 Arriving in Europe in their autumn, the NissanConnect Fleet offering will be available in Nissan’s all crossover range (Qashqai, X-Trail and Juke), the Pulsar, the Navara One Ton Pick-up, the Cabstar medium-duty vehicle range, the NV200 light commercial vehicle range, and its electric vehicles (LEAF and e-NV200). Telogis vice president of global OEM automotive sales Kevin Moore says "customers will experience near-immediate return on investment by utilising the built-in connection in their Nissan vehicles." "Telogis delivers mission-critical applications that enable Nissan commercial customers in Europe to connect, optimise and automate their operations, improve the lives of their drivers and provide a higher level of service to their own customers," he says. Nissan says at this time it is unknown when the agreement will arrive in Australia.